Of the city’s philanthropists and other public figures, the individual who most accurately mirrors the interests and goals of Classic Chicago is Richard H. Driehaus. With the museum he founded at 40 E. Erie St. marking its 10th year, we salute the Driehaus elegance and flair in celebrating—always—that which is CLASSIC about our great city. In establishing the museum that bears his name, Richard Driehaus began by locating as its home the spectacular Gilded Age mansion designed by Edward J. Burling for banker Samuel M. Nickerson in 1879. When he selected the dazzling Nickerson mansion, Driehaus identified, with precision, the perfect home for his new museum and then he meticulously restored the great edifice. Samuel Nickerson had long ago done his part by investing almost a half million 19th century dollars, as well as three-plus years in construction time, to provide the impeccable Driehaus platform. A fitting commemoration of the museum’s 10 years is the current trio of recently mounted exhibitions to be displayed within it through the end of the year. Beauty’s Legacy: Gilded Age Portraits in America features almost 60 works of art, including those by John Singer Sargent, Rembrandt Peale and Gilbert Stuart. This exhibition, large in geographical scope with a New York focus, was organized by the New York Historical Society. The watercolor on ivory below—an image of Mrs. William Waldorf Astor (Mary Dahlgren Paul, 1856–1894), created by Meave Thompson Gedney—is representative of the fine items in this retrospective. Mrs. William Waldorf Astor by Meave Thompson Gedney. Closer to home is Gilded Chicago: Portraits of an Era, which includes 10 paintings of prominent Chicagoans and is in partnership with Art Design Chicago, an initiative of the Terra Foundation for American Art. These works are hung in the gallery on the museum’s first floor, where the Nickerson family originally displayed its art collection. Chicagoans will recognize familiar surnames among those portrayed, including McCormick, Field, Nickerson and Pullman. Included in the show is William Merritt Chase’s vintage image below of Dr. Myra Reynolds, professor of English at the University of Chicago. University of Chicago Professor Myra Reynolds. 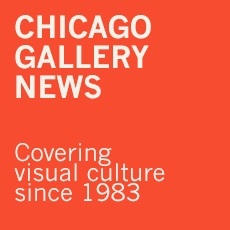 A third exhibition, Treasures from the White City: The Chicago World’s Fair of 1893, honors the 125th anniversary of the great international event. This show includes objects and memorabilia from the museum’s permanent collection, as well as from the private collection of Richard Driehaus. In an interesting aside, a large reception to celebrate the great exposition was hosted in the Nickerson mansion during 1893. Together the museum’s three 10th anniversary exhibits make a stunning and appropriate celebration of the completion of a decade of an impressive achievement. Mr. Driehaus has been generous to Chicago in many ways beyond direct financial philanthropy. He has contributed a dizzying assortment of tangible gifts that can be enjoyed by all of us, and the exquisite museum is merely the most visible manifestation of classic interests he has generously shared with the public. There a spectrum of others, and a few follow. He established the Driehaus Design Initiative “to promote and encourage design education and to foster public appreciation and understanding of all aspects of fashion design and history”. For the past 16 years, Driehaus Awards for Fashion Excellence, with cash prizes, have been conferred to design students from the city’s four design schools. Those attending Driehaus Awards runway show each spring at Chicago Vintage Motor Carriage on South Desplaines Street also see evidence of another classic Driehaus interest, his collection of dozens of handsome, shiny American automobiles from the ’30s, ’40s and ’50s. Where else would we find these classics, which are being preserved so beautifully for the edification and enjoyment of future generations? The Chrysler Thunderbolt of 1941, above, is a concept car in the Driehaus collection. Concept cars were designed to predict what was possible for the future. The above automobile is said to be only one of two in existence—in any case, no more than five Thunderbolts were produced by Chrysler that year, or any other. Then there is the Driehaus support for classic architecture, which extends from historic preservation of a number of vintage Chicago buildings to an annual prize established in 2003. The handsome Ransom R. Cable house is one of the irreplaceable buildings brought back to life by Richard Driehaus. Offices of Driehaus Capital Management and other Driehaus interests are located within. Among the fine vintage houses acquired and restored by Richard Driehaus is the 1886 Ransom Cable house, across Erie and Wabash from the museum. The Richard H. Driehaus Prize for Classical Architecture has been lauded as “a global award to honor a major contributor in the field of contemporary vernacular and classical architecture.” It is presented annually through the classical-teaching School of Architecture at the University of Notre Dame. One the most delightful books on Chicago architecture to be published in years, Benjamin H. Marshall Chicago Architect by John Zukowsky and Jean Guarino, was funded by Richard Driehaus. In fact, if he had done nothing else to inform and delight fellow Chicagoans beyond underwriting this amazing volume about a largely neglected Chicago architect, that alone would have earned Richard Driehaus a secure berth in philanthropy Valhalla. The above catalogue of gifts is merely a surface skimming of the extraordinary benefactor’s classic Chicago interests, which have resulted in tangible treasures for all to enjoy. Thank you, Mr. Driehaus. Well done! Next Sunday: Judy Carmack Bross will report on the dinner held at the museum to officially celebrate its 10th anniversary. This entry was posted in Everybody’s Talking on September 23, 2018 by Kay Whitfield.